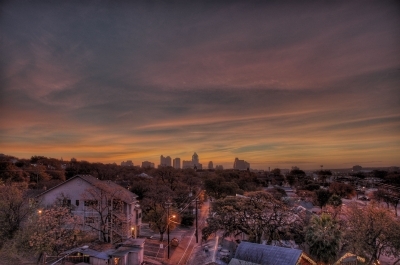 The Austin Map Project: View picture "Sunrise in Austin"
I took this shot around 7am in December, just as the sun was rising. It's a series of 3 exposures, blended together to make a surreal image. Shot on a Nikon D70, 50mm lens. Excellent shot, very interesting effect. Were you on a roof or something? 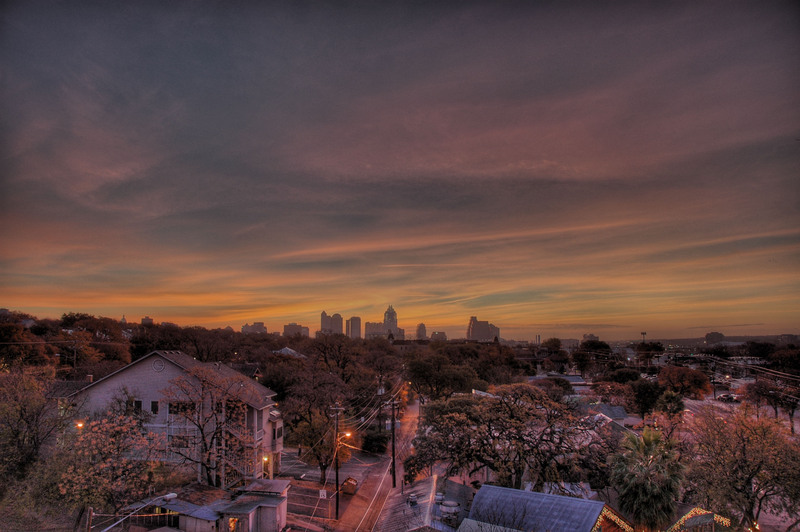 The shot was taken from the 4th floor of an office building, on a balcony. Thanks! I really dig the site. Admit it. Every time a photograph is uploaded, you get a text message. Nice little site here. Come for the photos, stay for the banter.